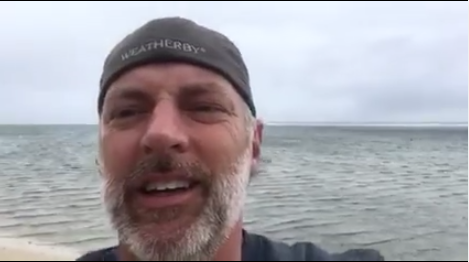 Darryl Worley and his wife Kimberly spent the weekend in Fiji, and if you haven’t heard, they’ve been dealing with a storm of epic proportions. Darryl Worley and wife Kimberly, along with other artists, went to Fiji this weekend, originally for a Tunes in the Tropics event. Little did they know they’d be spending the weekend in a storm cellar while tropical cyclone Winston pounded the small island. Darryl posted a few updates about his condition as the storm went on, watch his videos below to see the chaos of the storm. Fortunately Darryl and Kimberly have sucesfully weatherd the storm and Fiji is now in recovery mode. Experts have said this was the worst storm on record to hit the southern hemisphere. Check out this update on their condition below. All flights in and out of Fiji are still cancelled and the government has declared a state of emergency for the island. Make sure you send Darryl, Kimberly, and everyone in Fiji, lots of love as they’re still trying to make it home.